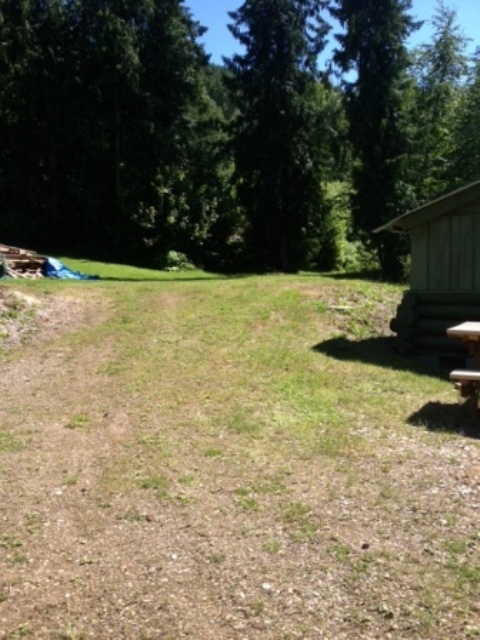 Relax and enjoy your family vacation at this 1/2 acre private lakefront location. 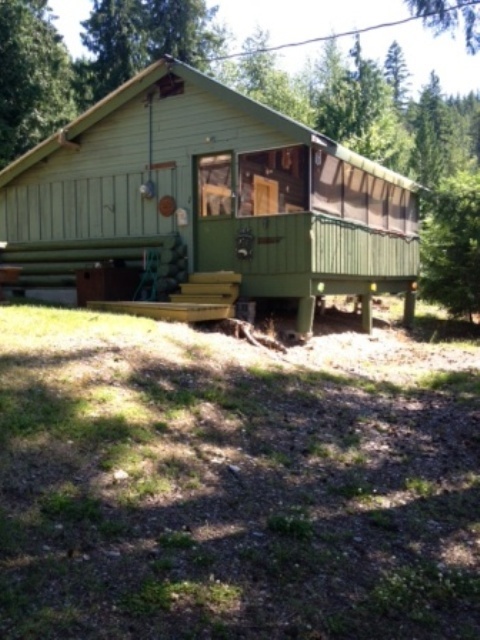 Our cozy cabin comes complete with every amenity, including 100' of private west-facing beach, boat dock, buoy, 2 fire pits, picnic tables, BBQ, 2 bedrooms, 3-piece bath, covered/screened porch, fully stocked kitchen, living area. Can sleep 6, depending on the ages of your children. We continue to be pet friendly to your well-behaved, small, non-shedding 4-legged family members! 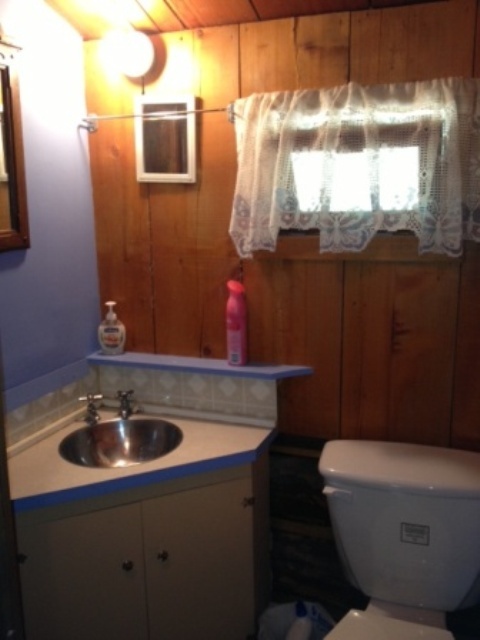 Our cabin is designed for single family use. Additional guests may be considered at an additional cost. 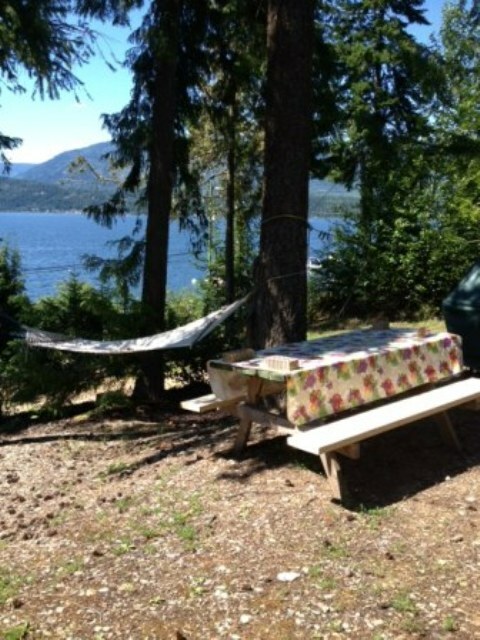 The Inn-B-Tween is located 10 kms from the TransCanada Highway, 30 minutes west of Salmon Arm, half-way between Blind Bay and Eagle Bay on the south shores of Shuswap Lake. We are close to boat and water toy rentals, restaurants, hiking, fishing, golf, wineries (Canada's most northern winery is just 24 kms away), endless sight seeing and much more! We are open to guests May 15 - September 1, with a weekly rental rate of $1250, no taxes. There is a $200 refundable damage deposit, along with a $50 refundable cleaning fee, both due with your final payment. A $500/week deposit is required at the time of reservation and final payment is due 30 days prior to arrival. 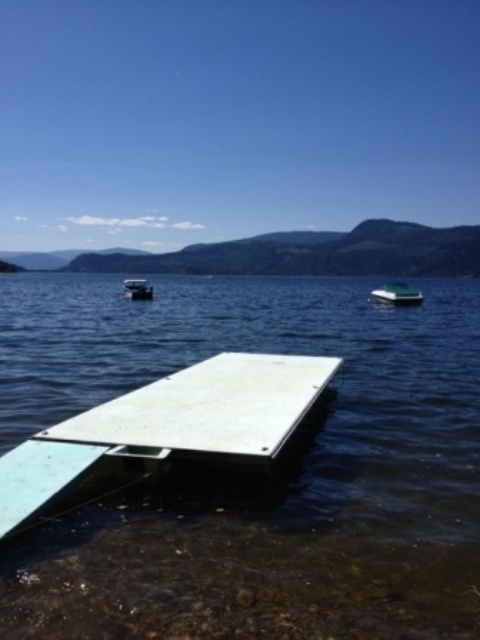 Inquiries and bookings for your Shuswap Lake family vacation can be made by calling 250-515-3240, or by filling out the email form below.